Multivitamins are dietary supplements that come in tablet, capsule or pill form and provide you with an array of essential vitamins and minerals. You can find them in most grocery stores, as well as health food stores. Taking a multivitamin every day may provide several health benefits. 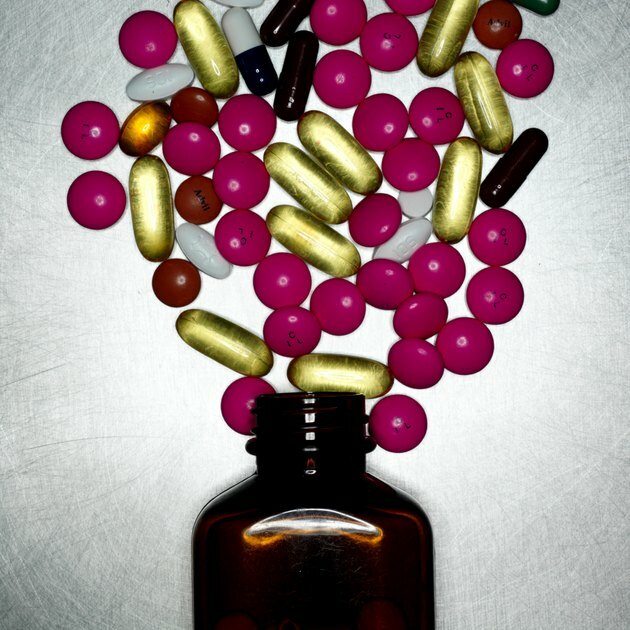 Before taking vitamins, consult your doctor; pre-existing medical conditions or medications you are taking can affect how your body responds to multivitamins. When you're sick, your body isn't functioning at its peak performance and may not be able to use or get all the vitamins and minerals it needs to quickly recover, according to the National Institutes of Health's MedlinePlus. The institutes say a multivitamin taken during this time can help immediately provide your ill body with the nutrients it needs to recuperate. Strict dieters--for example, those consuming 1,600 calories a day or fewer--or those following a vegan or vegetarian diet may not be able to get all the minerals and vitamins they need through food intake alone. A multivitamin can help ensure proper nutrition, according to the Mayo Clinic. For example, some vegans may have low levels of certain B-vitamins that are chiefly found in animal products but can get the vitamins through a daily multivitamin. A pregnant woman has much higher vitamin needs than a non-pregnant woman because she's supporting the life and nutritional needs of her baby. Thus, a doctor may suggest a pregnant woman take prenatal multivitamins that provide a wide array of vitamins designed to provide the nutrients needed by the woman and the baby. Regular use of a prenatal multivitamin can help decrease the risk of numerous congenital anomalies in the baby, according to an August 2006 meta-analysis published in the "Journal of Obstetrics and Gynaecology Canada," a peer-reviewed medical journal that focuses on women's health, obstetrics and gynecology. The meta-analysis analyzed the results of 41 studies. As people age, their cognitive functioning may decrease. A May 2007 medical research study published in "Nutrition Journal" analyzed 910 women and men ages 65 or older. The study found that the use of a multivitamin helped reduce the risk of micronutrient deficiencies and also helped to improve cognitive functioning in some of the group's subsets, including those ages 75 and older. Multivitamins contain several vitamins, such as B-complex vitamins and vitamin C, that may help improve your body's energy. Arizona State University's wellness office suggests students take a daily multivitamin for improved energy and a better physical response to the various stress factors encountered in college life.